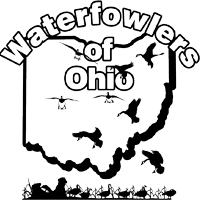 Waterfowlers of Ohio is a group of hunters that loves the sport of waterfowling. The main point of the Waterfowlers of Ohio is to take out people that are interested in the sport and make them a part of it. Yet we also take out experienced hunters, too. We love takeing out the younger generation, to pass on the waterfowling experience.